April 22, 2019, 12:57am EDT April 30, 2019, 11:59pm EDT $50.00 Race Fee + $2.40 SignUp Fee ? May 1, 2019, 12:00am EDT September 30, 2019, 11:59pm EDT $65.00 Race Fee + $3.12 SignUp Fee ? October 1, 2019, 12:00am EDT December 20, 2019, 11:59pm EST $80.00 Race Fee + $3.84 SignUp Fee ? December 21, 2019, 12:00am EST January 3, 2020, 11:59pm EST $90.00 Race Fee + $4.32 SignUp Fee ? January 4, 2020, 12:00am EST January 4, 2020, 11:59pm EST $100.00 Race Fee + $4.80 SignUp Fee ? April 22, 2019, 12:57am EDT April 30, 2019, 11:59pm EDT $35.00 Race Fee + $2.40 SignUp Fee ? May 1, 2019, 12:00am EDT September 30, 2019, 11:59pm EDT $45.00 Race Fee + $2.40 SignUp Fee ? October 1, 2019, 12:00am EDT December 20, 2019, 11:59pm EST $50.00 Race Fee + $2.40 SignUp Fee ? December 21, 2019, 12:00am EST January 3, 2020, 11:59pm EST $60.00 Race Fee + $2.88 SignUp Fee ? January 4, 2020, 12:00am EST January 4, 2020, 11:59pm EST $70.00 Race Fee + $3.36 SignUp Fee ? April 22, 2019, 12:57am EDT April 30, 2019, 11:59pm EDT $30.00 Race Fee + $2.00 SignUp Fee ? May 1, 2019, 12:00am EDT September 30, 2019, 11:59pm EDT $35.00 Race Fee + $2.40 SignUp Fee ? October 1, 2019, 12:00am EDT December 20, 2019, 11:59pm EST $40.00 Race Fee + $2.40 SignUp Fee ? December 21, 2019, 12:00am EST January 3, 2020, 11:59pm EST $50.00 Race Fee + $2.40 SignUp Fee ? January 4, 2020, 12:00am EST January 4, 2020, 11:59pm EST $60.00 Race Fee + $2.88 SignUp Fee ? April 22, 2019, 12:57am EDT April 30, 2019, 11:59pm EDT $25.00 Race Fee + $2.00 SignUp Fee ? May 1, 2019, 12:00am EDT September 30, 2019, 11:59pm EDT $30.00 Race Fee + $2.00 SignUp Fee ? October 1, 2019, 12:00am EDT December 20, 2019, 11:59pm EST $35.00 Race Fee + $2.40 SignUp Fee ? December 21, 2019, 12:00am EST January 3, 2020, 11:59pm EST $40.00 Race Fee + $2.40 SignUp Fee ? January 4, 2020, 12:00am EST January 4, 2020, 11:59pm EST $50.00 Race Fee + $2.40 SignUp Fee ? Register for the Double Beach Half Challenge and run the Half Marathon race along with the 5K Run and earn a super cool third bonus medal! In order to be eligible for the third bonus medal you must register via this two event package. Each bundle includes a special Double Beach Challenge Bib that is worn for both events, and a single (one) event shirt. Only Double Beach Run Challenge finishers are eligible to receive the third bonus medal! Don't miss out, Double Beach Run Bundles are only available until December 1. April 22, 2019, 12:00am EDT April 30, 2019, 11:59pm EDT $70.00 Race Fee + $3.36 SignUp Fee ? 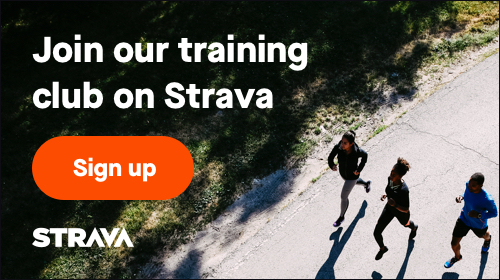 May 1, 2019, 12:00am EDT September 30, 2019, 11:59pm EDT $90.00 Race Fee + $4.32 SignUp Fee ? October 1, 2019, 12:00am EDT December 1, 2019, 11:59pm EST $110.00 Race Fee + $5.28 SignUp Fee ? Register for the Double Beach 15K Challenge and run the 15K Run along with the 5K Run and earn a super cool third bonus medal! In order to be eligible for the third bonus medal you must register via this two event package. Each bundle includes a special Double Beach Challenge Bib that is worn for both events, and a single (one) event shirt. Only Double Beach Run Challenge finishers are eligible to receive the third bonus medal! Don't miss out, Double Beach Run Bundles are only available until December 1. April 21, 2019, 3:59pm EDT April 30, 2019, 11:59pm EDT $55.00 Race Fee + $2.64 SignUp Fee ? May 1, 2019, 12:00am EDT September 30, 2019, 11:59pm EDT $70.00 Race Fee + $3.36 SignUp Fee ? October 1, 2019, 12:00am EDT December 1, 2019, 11:59pm EST $80.00 Race Fee + $3.84 SignUp Fee ? Register for the Double Beach 10K Challenge and run the 10K Run along with the 5K Run and earn a super cool third bonus medal! In order to be eligible for the third bonus medal you must register via this two event package. Each bundle includes a special Double Beach Challenge Bib that is worn for both events, and a single (one) event shirt. Only Double Beach Run Challenge finishers are eligible to receive the third bonus medal! Don't miss out, Double Beach Run Bundles are only available until December 1. April 21, 2019, 3:59pm EDT April 30, 2019, 11:59pm EDT $50.00 Race Fee + $2.40 SignUp Fee ? May 1, 2019, 12:00am EDT September 30, 2019, 11:59pm EDT $60.00 Race Fee + $2.88 SignUp Fee ? October 1, 2019, 12:00am EDT December 1, 2019, 11:59pm EST $70.00 Race Fee + $3.36 SignUp Fee ? April 22, 2019, 9:57am EDT December 20, 2019, 11:59pm EST $39.00 Race Fee + $2.40 SignUp Fee ? December 21, 2019, 12:00am EST January 4, 2020, 11:59pm EST $49.00 Race Fee + $2.40 SignUp Fee ?